Woah! 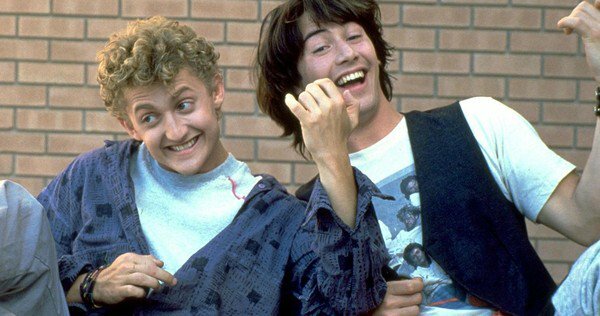 Almost 30 years after the first was released, Bill & Ted actors Keanu Reeves and Alex Winter have reunited, revealing a third film may finally happen. When Bill & Ted’s Excellent Adventure arrived in cinemas in 1989, it became an instant box office smash and pop culture phenomenon. 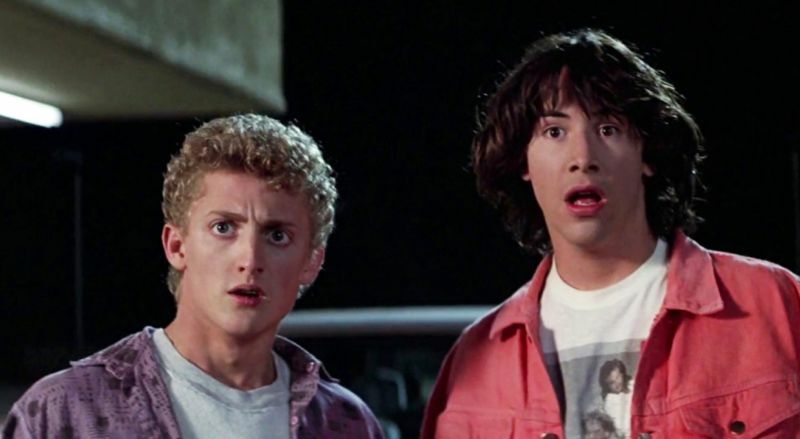 Soon enough numerous spin-offs were being made including a cartoon, live-action television show, a Nintendo game and finally a sequel, Bill & Ted’s Bogus Journey in 1991. Despite receiving mixed reviews from critics, Bill & Ted’s Bogus Journey was another commercial success leaving fans wanting more. Rumours of a third film have therefore been circulating ever since but nothing has ever really been confirmed. 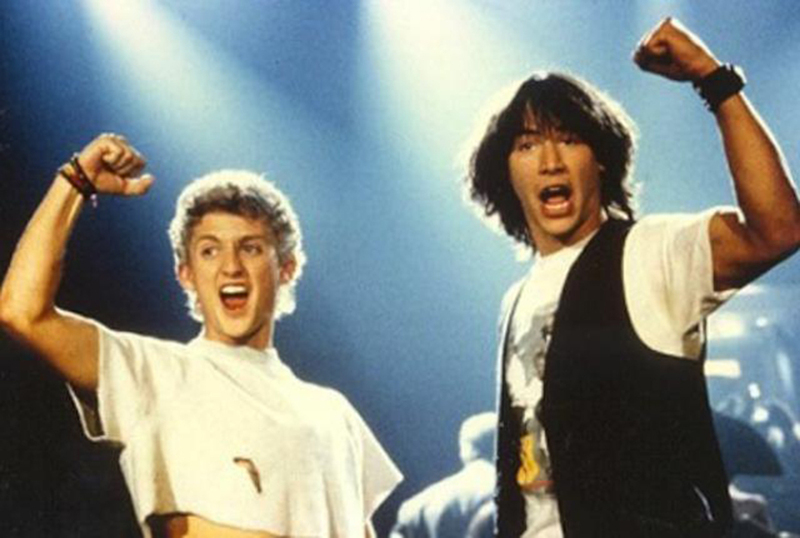 However, in a recent interview with Entertainment Weekly, Reeves, Winter and writers Chris Matheson and Ed Solomon revealed a script titled Bill & Ted: Face The Music has been written. We are hoping to close a deal with some financiers. Hopefully within the next month or so, we’ll have news that will stick. They confirmed there’s talent attached to the movie with Steven Soderbergh on board to produce, Galaxy Quest‘s Dean Parisot will be stepping up to direct and Bill Sadler will be returning as Death. Hopefully they will manage to get the film financed soon as the team behind the upcoming movie sounds excellent! Winter also revealed the film has been in development hell the past few years as it struggled to get the support of studios. The whole trajectory of getting the next one off the ground has been pretty much exactly like the experience of getting the original. Going to every studio, and they’re like, ‘what the eff is this?’ It’s this kind of independent spirit, and the films have an anachronistic quality to them that’s a big part of what they are, fundamentally. I’m really happy that this one is the same. It doesn’t feel like some stale knockoff that a studio would have immediately gone, ‘oh, this feels right. We have rebranded very successfully’. But what exactly will Bill & Ted: Face The Music be about? Although the team kept their cards close to their chest, Matheson did reveal it would focus on what the pair are up to in their lives now. You’re told you’re gonna save the world. And now you’re 50 and you haven’t done it. Now they’re married, and it affects their marriages, and it affects their relationships with their kids, and it affects their everything. Everybody’s a little older now, a little afraid. There’s certain comparisons, a rock band that never goes to the place it thought it was going to get to. The upcoming movie was also described as being ‘A Christmas Carol with Bill and Ted’ which to us sounds like a bizarre but brilliant combination.